Shaolin Qinggong emphasizes the legs. 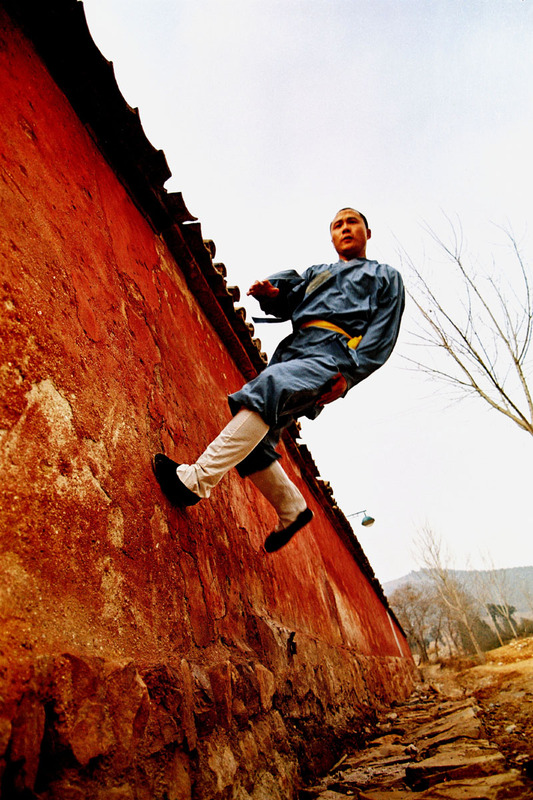 The most accomplished kungfu masters can leap onto roofs and vault over walls. A monk can exercise with half-kilogram sand bags tied around his calves where the cloth is always worn out, even when sleeping. The weight is gradually increased, from two kilograms to above 10 kilograms, depending on the monks' stamina. This exercise allows monks to move swiftly and lightly. Litang: A Town up in the Air?